Save Money on Repairs! Aids work better, last longer with Dry Aid! The Dry Aid Jar will pay for itself many times over by reduced hearing aid repair costs. Put your hearing aid or hearing aids in this jar overnight. 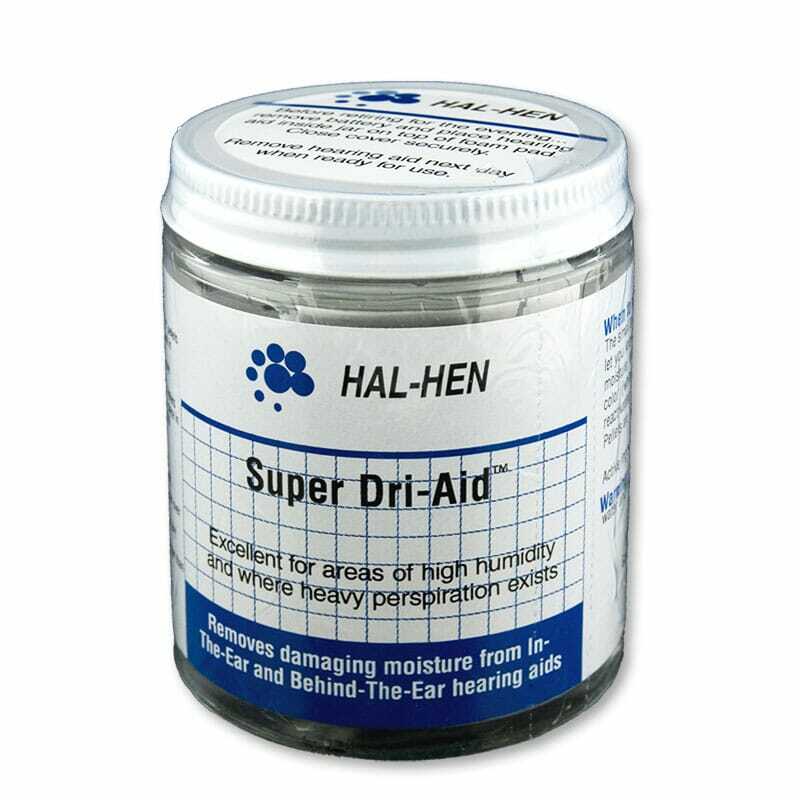 Super Dri-Aid will keep them working far longer by absorbing damage causing moisture from the interior of your hearing aids. The Dry Aid Jar is excellent for areas with high humidity, or where heavy perspiration exists. SUPER DRI-AID TM pellets can be reactivated and used over and over again. Compact size – ideal for use in home, office or traveling.